In December 1962 the city of Buffalo joined the United States Sister City International initiative by connecting with Kanazawa, Japan and a wonderful history of sharing resources has grown. 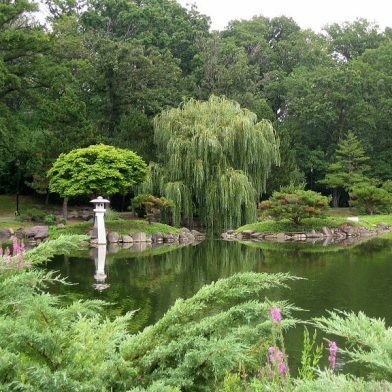 In 1996, Kanazawa was largely responsible for the major renovations to the Japanese Garden of Buffalo providing trees, shrubs, paths and the unique stone lanterns. Located behind The Buffalo History Museum in the Olmsted Conservancy’s Delaware Park, the lush gardens and serene lake provide a contemplative refuge for all of Buffalo to enjoy.